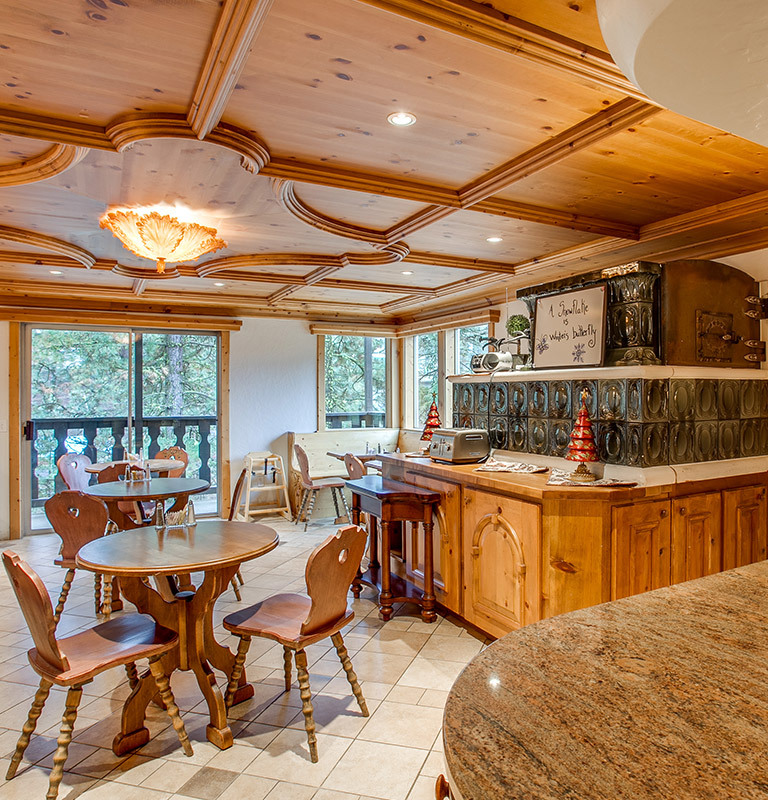 The ALPINE RIVERS INN and its knowledgeable and professional staff are here to answer any questions that you may have about Leavenworth WA lodging, local attractions, our property and our services. Please feel free to read about our hotel policies and cancellation policy information below. If you cannot find the answer you are seeking here, then contact us at any time and we will be happy to assist you. 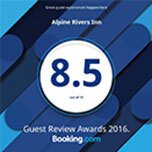 We hope you choose the ALPINE RIVERS INN every time when you are looking for a world-class stay, hotels near Leavenworth WA, or Leavenworth hotels that offer genuine hospitality. Q. Where are you located and what is your address? Q. How far are you from Downtown Leavenworth? A. We are located four blocks from downtown Leavenworth. You can just leave your car at the hotel and avoid parking hassle as downtown Leavenworth is within 10-minutes walking distance. A. Coming from Seattle area on Highway 2 East: Once you are past downtown area make left on Alpensee Strasse the ALPINE RIVERS INN will be on your right. Coming from Seattle area on Interstate I-90: Take I-90 East, take exit 85 from I-90 East, Follow WA-970 and highway US-97 to US Highway 2 West, Immediately after crossing the Wenatchee River bridge turn right on Alpensee Strasse ALPINE RIVERS INN will be on your right. Q. How long does it take to get from Seattle metro area to Leavenworth? A. Approximately 2 hours and 15 minutes. A. Our front desk office is open 7:30 AM-10 PM. A. Check-in is at 4 PM. If you are arriving after 10:00 pm, please let us know so we may make arrangements with you as to where to get your room keys. Q. Can I check in earlier than 4 pm? A. Guests are free to arrive anytime on the day of arrival. If a room is available front desk is happy to check you in. Please note that check-in before 4 pm is solely based on room availability and is not guaranteed. Should your room not be ready, and you wish to use the facilities (hot tub, swimming pool, etc.) you may do so. A. Check out is at 11 am. Q. Can I request a late checkout? A. Late checkouts are granted based on availability and a fee may apply. Please see the front desk for details. Q. How do I book a reservation? A. You may book a reservation and check current rates online on this website by clicking “BOOK NOW," or call us directly at 509-548-8888 for personalized service. Reservations cannot be made via email. Q. How do I cancel a reservation? A. Non- Hotel/3rd Party Website Bookings: you would need to call the booking source directly to cancel your reservation. Hotel Direct Bookings: Please call 509-548-8888 to cancel your reservation. We do not accept cancellations via emails. Q. How late can my reservation be held? A. Reservations are guaranteed until 12:00 am on your arrival date. If you be will arriving after this time, please contact the hotel at 509-548-8888 to request late arrival. Q. I booked on a website other than the hotel website, and I need to make a change or cancel my reservation. How do I do this? A. In this situation, you would have to contact the customer service department at the website you used to make your reservation. Q. What are the taxes for a hotel stay in Leavenworth? A. American Express, VISA, Master Card and Discover card. We gladly accept cash with a cash deposit of $250 in addition to the room total. Cash deposit will be refunded upon check-out after room inspection. If you do not have enough cash for the deposit than a credit card is required and the credit card will be authorized for $ 250. We will release the credit card hold upon check out. Please know that depending on your bank it may take anywhere from 24 hours to 21 days to release the credit hold and we will not be responsible for any delay caused by your bank in releasing the credit hold. Q. Do you accept checks, pre-paid credit cards or gift cards as a form of payment? A. No, we do not accept checks, pre-paid credit cards or gift cards at the ALPINE RIVERS INN. Q. Can I pay for another guest's room (a friend, family member or co-worker, etc.) with my credit card? A. Yes, you may pay for another guest's room with your credit card. Just complete the ALPINE RIVERS INN’s Credit Card Authorization Form, sign it and fax it to the hotel. We require customers to submit this form for their own credit card protection before the arrival date. Please note that we will not accept a 3rd party credit card payment without the completed authorization form. Please call us at 509-548-8888 and we will fax or email the Credit Card Authorization Form to you. Q. What is a third-party credit card authorization form? A. Credit card authorization forms are used if the guest holding the reservation is not paying for the room. For a third-party individual who is not staying at the hotel to pay for a room, he or she must complete the ALPINE RIVERS INN’s Credit Card Authorization Form, sign it and fax it to the hotel. Q. Can I email the third-party credit card authorization form to the hotel? A. Unfortunately, you can't. In the interest of protecting your personal credit card information, we can only accept the ALPINE RIVERS INN Credit Card Authorization Form via fax. Sending credit card information by email is not a secure method of transmission. Q. Does the hotel require a deposit for incidentals? A. Yes, the hotel requires a $ 100 deposit on the credit card for all the pre-paid reservations booked on 3rd party online travel sites. If a credit card is not available, then we will also accept cash deposit of $100 for such bookings. Q. When will the incidental deposit be returned to my credit card? A. The incidental deposit is released on the day of your departure. Your bank will then need to post the transaction to your account. We will not be responsible for any delay caused by your bank in posting the transaction. Q. How much money does the hotel authorize on my credit card at check-in? A. At check-in, we authorize your entire stay’s room and tax charges plus any deposit if applicable. A. It depends on the season. However, holidays, Festival weekends and summer months are always in high demand. You can check availability and rates at any time by clicking “BOOK NOW” or by calling us directly at 509-548-8888. Q. Can I reserve a room or request a rate quote via email? A. To reserve a room, you must do so on our website by clicking on the BOOK NOW button, or contact us directly at 509-548-8888. You can request a rate quote via email or phone call if you don’t see any availability on our website. A. Yes. Children under the age of 12 years stay for free provided they share the existing bedding. Please note that guests may not exceed maximum occupancy for each room type. Each additional person age 12 or older is $10 per person per night. Q. How do I make a group reservation (family reunion, club, etc.)? A. If you are looking to book a large group, please contact the hotel directly at 509-548-8888 to reserve your group stay. We offer exclusive discounts to large groups. Q. How do I make a special request regarding my stay? A. Please call the hotel directly at 509-548-8888, and we will be happy to assist with any special request. Q. I want flowers, chocolates, champagne, wine or gifts sent to the room. How do I do this? A. Please call the hotel directly at 509-548-8888, and we will do our best to accommodate your request. Q. Do you have a restaurant and lounge onsite? A. We serve a free continental breakfast for guests staying at the ALPINE RIVERS INN. We do not have a restaurant or lounge onsite. Leavenworth has many excellent dining options located within walking distance, we maintain a current directory of menus, inquire at Front Desk. A. Yes, complimentary breakfast is included in the room rate and is offered daily from 7:30 am- 9:30 am in the breakfast room. A. No, all the guest rooms are 100% smoke-free including balconies. A $ 250 cleaning fee will be charged to any guest who violates the smoking policy. Guests may smoke outside in designated smoking areas. Q. Are safe deposit boxes or safes in your guestrooms? A. The ALPINE RIVERS INN does not have safes in guestrooms. Q. Is there a refrigerator/microwave/coffee maker in the room? A. The hotel provides small Refrigerator and microwave along with a single cup Keurig coffee maker. Coffee pods are offered complimentary. Q. Do you have hairdryers in the guestrooms? A. Yes, hairdryers are available in each room. Q. What do your rooms look like? A. You can view pictures of the hotel and guest rooms in the photo gallery. Q. How many people can stay in the guest room? A. We allow up to two persons in our one queen bedrooms, up to four persons in our rooms with two queen beds or one king bed with sofa sleeper rooms and up to six persons in our family suites with kitchenette. Q. Are specific room numbers guaranteed? A. No, we will attempt to honor all requests for specific rooms when you book your reservation. However, no room request is guaranteed. We reserve the right to change room assignments at our discretion. Please note that we guarantee the room type booked not the room number or the floor where the room is located. Q. Do you have rooms with Jacuzzis at ALPINE RIVERS INN? A. No, we do not have rooms with Jacuzzis or hot tubs. A. Yes, we have free Wireless internet access available throughout the hotel. Log-in information will be given upon check-in. Q. Do you have a swimming pool? What are the pool hours? A. Yes, we do have a seasonal outdoor heated pool. The pool hours are 8 am-10 pm daily. We usually open the pool by the end of May for the summer season and close it by the end of October. Please note that opening and closing of the seasonal pool is weather dependent and we may move the dates up or down depending on the weather conditions. Please call us directly at 509-548-8888 to get up to date information on the pool. Q. Do you have a hot tub on site? What are the hours? A. Yes, we do have a year-round outdoor hot tub on site. The hot tub is open from 8 am-10 pm May 1st -October 31st for the summer season and from 8 am- 8 pm November 1st- April 30th for the winter season. A. Yes, we do have onsite parking and there is no charge for parking. Q. Do you provide rollaway beds or cribs? Is there a charge? A. Instead of a roll-a-way for extra guests in the room, we offer a 3-inch thick pad for the floor with bedding. The pad is no extra charge. Cribs also available and are free of charge. Please note that cribs and pads are subject to availability on the day of arrival and cannot be reserved and will be offered on a first come, first serve basis. A. You must be 18 years of age with a valid ID to check in to the hotel. A. The ALPINE RIVERS INN has various cancellation periods dependent on many factors. Please inquire when making your reservation about your specific cancellation policy and to see if any deposit is required. Our standard cancellation policy is 72 hours before arrival by 4 pm local time, and for the festival weekends, the cancellation policy is 14 days before arrival. Q. Do you require two-night stays? A. Many festival weekends and holiday weekends do require a two-night stay unless waived by the reservation agent. Please call us at 509-548-8888 reservation line for details about the times you’re interested in visiting. Q. Is my ID required at check-in? A. Yes, we require presentation of a valid government-issued identification at the time of check-in. A. Sorry, we do not have an elevator. If stairs are an issue than we highly recommend that you request the room on the ground floor by calling us directly at 509-548-8888 before your arrival and we will gladly assign you a room on the ground floor based on room availability. Q. Do all of your rooms have private balconies? A. Private balconies are only available with one queen bedroom, two queen beds rooms, one king suite, and one accessible queen room. Our family suites with kitchenette do NOT have private balconies instead have shared river facing walkway. Q. Do you have Kitchenette suites? A. Yes, we do have fully equipped Kitchenette suites which are ideal for large families. Please note that we only have few kitchenette suites and they are always in high demand, so we highly recommend booking these suites well in advance of your anticipated arrival date. A. Yes, we have some connecting rooms at the hotel. You may request connecting rooms by calling the hotel directly at 509-548-8888 however, they are subject to availability and are not guaranteed. A. We have limited number of accessible rooms. Feel free to contact us for any special needs you may have. A. A. There is no refund for early departure reservations that require 2-night minimum stay during peak weekends and festivals. For other reservations, there is no early departure fee. A. No, pets are not allowed. If you elect to bring a pet to your room than a fee of $250 will be posted to your room.